Catholic Bible 101 - What is TRUTH? John 14:6: Jesus said to him, "I am the way, and the truth, and the life; no one comes to the Father, but by me. God said to Moses, "I AM WHO I AM." And he said, "Say this to the people of Israel, `I AM has sent me to you.'" And yet, that is exactly the kind of society we live in today. GK Chesterton, the great Catholic writer of the early twentieth century, once said that only dead bodies go with the current. It takes live ones to swim against it. And that is so true. It’s so easy to go with the flow, rather than to speak The Truth and get made fun of for being a bible thumper. The biggest battle most parents have today is convincing their children that what they see on TV, billboards, and in the movies is garbage, and what they learn in church on Sunday is The Truth. We are all being inundated with lies when we watch entertainment. For instance, when there is a death or an imminent catastrophe about to happen on a show, how many people do you see praying? None. When a clergyman is portrayed in a TV show, is it a positive or a negative portrayal? More than likely it’s a negative one. When marriage is portrayed on TV, is it holy, or unholy? Unholy, most likely. And just how many times do we hear organizations like the military and schools ignore the term “Christmas”, in favor of the innocuous term “holiday”? You are of your father the devil, and your will is to do your father's desires. He was a murderer from the beginning, and has nothing to do with the truth, because there is no truth in him. Isaiah 45:19 I did not speak in secret, in a land of darkness; I did not say to the offspring of Jacob, `Seek me in chaos.' I the LORD speak the truth, I declare what is right. Ezra 45:1: "Now concerning the signs: behold, the days are coming when those who dwell on earth shall be seized with great terror, and the way of truth shall be hidden, and the land shall be barren of faith. 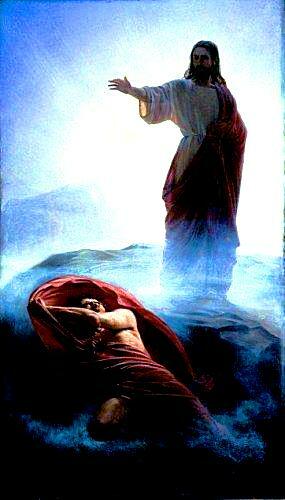 Psalm 45:8: The LORD is near to all who call upon him, to all who call upon him in truth. John 1: 14 : And the Word became flesh and dwelt among us, full of grace and truth; we have beheld his glory, glory as of the only Son from the Father. John 8: 31-32: Jesus then said to the Jews who had believed in him, "If you continue in my word, you are truly my disciples, and you will know the truth, and the truth will make you free." John 8:44: You are of your father the devil, and your will is to do your father's desires. He was a murderer from the beginning, and has nothing to do with the truth, because there is no truth in him. When he lies, he speaks according to his own nature, for he is a liar and the father of lies. John 16: 7: Nevertheless I tell you the truth: it is to your advantage that I go away, for if I do not go away, the Counselor will not come to you; but if I go, I will send him to you. John 16:13: When the Spirit of truth comes, he will guide you into all the truth; for he will not speak on his own authority, but whatever he hears he will speak, and he will declare to you the things that are to come. 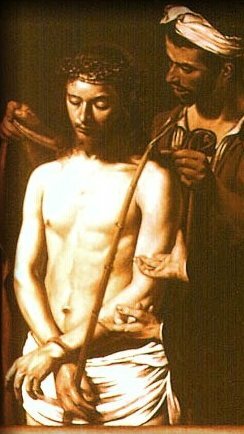 John 18: 37-38: Pilate said to him, "So you are a king?" Jesus answered, "You say that I am a king. For this I was born, and for this I have come into the world, to bear witness to the truth. Every one who is of the truth hears my voice." Pilate said to him, "What is truth?" After he had said this, he went out to the Jews again, and told them, "I find no crime in him. Romans 1: 18 For the wrath of God is revealed from heaven against all ungodliness and wickedness of men who by their wickedness suppress the truth. Romans 1:25: because they exchanged the truth about God for a lie and worshiped and served the creature rather than the Creator, who is blessed for ever! Amen. Galatians 4: 16: Have I then become your enemy by telling you the truth? 1 Timothy 3: 15: if I am delayed, you may know how one ought to behave in the household of God, which is the church of the living God, the pillar and bulwark of the truth. 1 John 1:8: If we say we have no sin, we deceive ourselves, and the truth is not in us. 1 John 4:6: We are of God. Whoever knows God listens to us, and he who is not of God does not listen to us. By this we know the spirit of truth and the spirit of error. 1 John 4:20: If any one says, "I love God," and hates his brother, he is a liar; for he who does not love his brother whom he has seen, cannot love God whom he has not seen. 1John 5:10: He who believes in the Son of God has the testimony in himself. He who does not believe God has made him a liar, because he has not believed in the testimony that God has borne to his Son. Revelation 21:8: But as for the cowardly, the faithless, the polluted, as for murderers, fornicators, sorcerers, idolaters, and all liars, their lot shall be in the lake that burns with fire and sulphur, which is the second death." So don't be like Pontius Pilate and question what truth is. Truth is whatever God, His Word, and His Church says it is, not what we may think it is, or what we wish it to be. Jesus Christ is Truth, and the devil is the father of lies. Thinking for yourself when it comes to deciding what truth is may seem smart and right, but listening to what The Word says is the better, and only true, path to take. God sent the Holy Spirit to guide His Church in Truth, not to each individual person. Sinful priests today do not negate what the Truth is, anymore than the sinful Judas and Peter negated what Jesus taught way back when. And intelligent people need to discern (a gift of the Holy Spirit, by the way) when people are giving their strong personal opinions cleverly disguised and packaged as fact. People can be sincere in their opinions, for sure, but also be sincerely wrong. CS Lewis once remarked that Hell is full of people who said "My will be done". Heaven is full of people who said "Thy will be done", so choose wisely !